These factors narrow breastfeeding choices that moms everywhere should be empowered to make — including in the United States. In the developing world, the price is particularly high. A baby dies every 30 seconds for lack of protection breastfeeding provides against malnutrition and deadly disease. So let’s change the conversation and pose a different question. 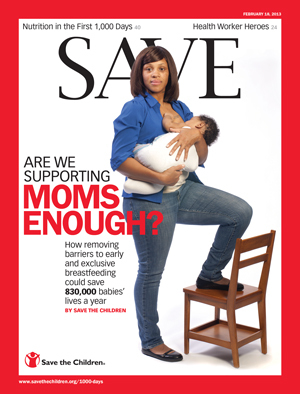 Are we supporting moms enough? In too many places, the answer is no.